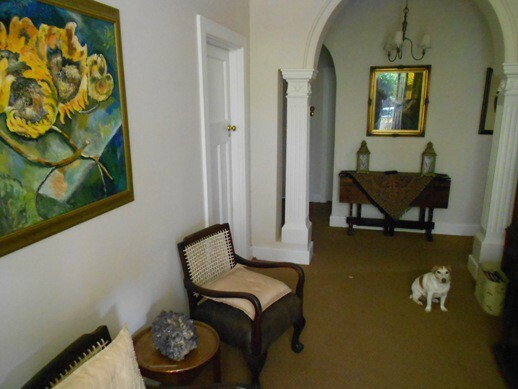 The house is centrally situated on the Baakens River Valley, overlooking Settlers Park Nature reserve and within walking distance of St Georges Park Cricket Grounds and the hospital. 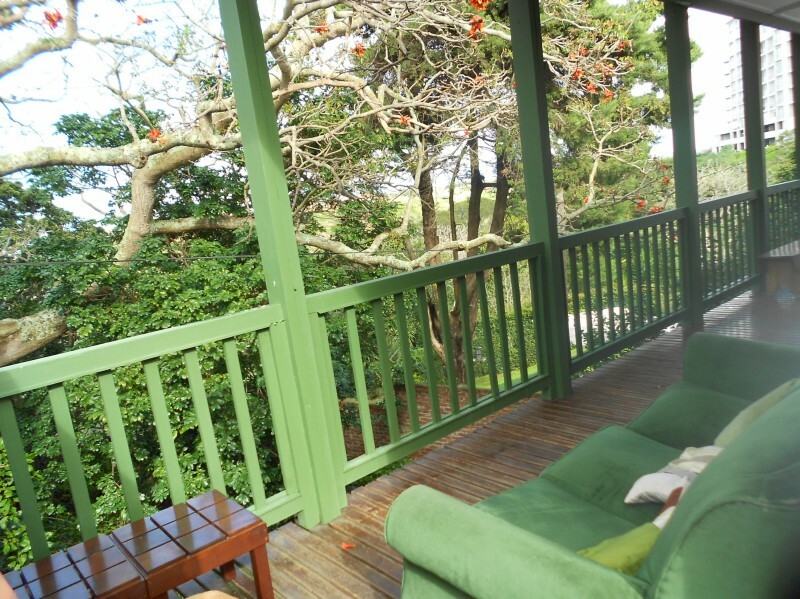 Relax on the covered verandah and enjoy the bird life in the nearby enormous Coral tree. Cape White Eye, various Sun Birds, Knysna Turaco and even the Crowned Eagle are regularly spotted. 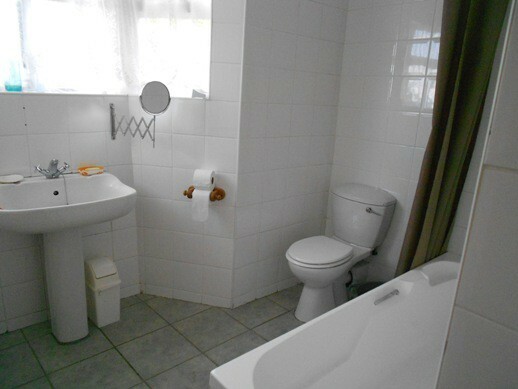 Local attractions include the Central Area English Settler Cottages, the historic St. Georges Park with its Victorian Conservatory, Nelson Mandela Bay Art Museum, Fort Frederick, the Donkin Memorial, the Campanile and the beautifully restored civic buildings. We are only 50km from the Addo Elephant Park and informal visits can be arranged. Our beautiful beaches and casino are a few minutes drive away, while the world famed Garden Route and Tstisikamma National Park are an easy 2 hour drive. The rooms are equipped with a ceiling fan, a television, a fridge with an ice tray and a tea trolley. You are welcome to use the garden facilities including the gas braai. Off road parking for one car is available at no extra charge. 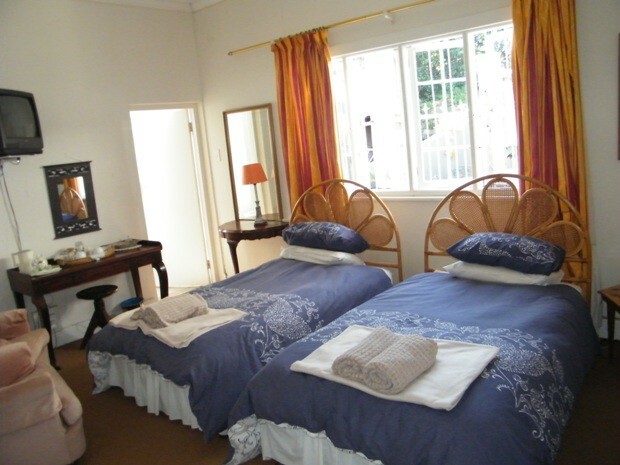 A long stay discount of 15% applies to bookings of 3 nights or more for two persons sharing the double bedroom. Transfers to and from the airport can be arranged from R60.00.